Be part of our transformative moment. Liberal arts education is changing, and Knox is leading the way. Our approach to experiential learning is a model of integrated, high-impact education. Our student body is exceptionally global, diverse, and engaged. And, with your support, we can go further, faster. Help the senior class make their first class gift to Knox! Knox helped make you. Now you get to help make Knox. Help raise $1 million for financial aid and scholarships by June 30 and keep a Knox education within the reach of more families. 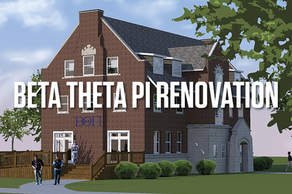 Help us raise the final $60,000 toward our $1.6 million renovation and keep Beta House standing tall for another 100 years. The Fire is rising! 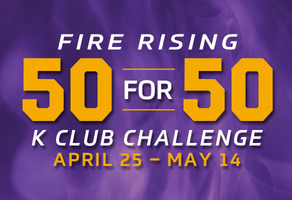 Help us raise $50,000 for Knox student-athletes by May 14 and earn a matching gift of $50,000. Bluebrick Collective is a StartUp Term business providing a creative and collaborative venue for young adults. Help launch our summer pilot! K Club is looking to raise $32,000 in 32 days. If we succeed, we'll earn an additional $32,000...and set a new fundraising record. 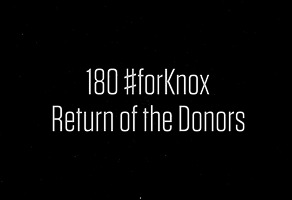 To celebrate 180 years of Knox, for the next 180 hours, every gift to Knox is worth an extra $180. Give before midnight 2/15. 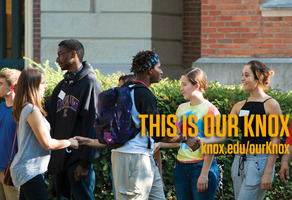 Make an impact at Knox College! Connect with other Knoxies on GiveCampus!